Whenever we think about linux the first thing that strikes our mind is Terminal. Customizing Linux is a must because we will be spending most of the time before computer. We need to work in a cool and unique environment. Try to make your LinuxOS attractive my all means. 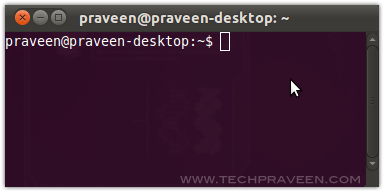 In this tutorial I will explain How to change Gnome-Terminal title in Ubuntu. Click Terminal, select ” Set Title” in Menu bar. Type a Terminal title name. Great post. This is very basic for an advance user but for a newbie like me, this is really helpful. Thank you for sharing. It’s hard to find basic information in the internet nowadays.